On November 25, 2015 (the day before Thanksgiving Day), Ty was driving about 25 mph on the far right lane that was a “turn-only” lane. As Ty was approaching the intersection to turn, there was a car to the left of him that also needed to turn and maneuvered quickly into Ty’s lane with not enough space to cross over safely. Consequently, the car rear-ended the left side of Ty’s vehicle. Ty hit his knees during the accident, but did not think his injury was bad enough to go to the hospital. When he started having pain a few days later on his neck, back, shoulder and his knee pain grew worse…he went straight to the doctor. As a result of the accident, Ty sustained a right knee partial ACL tear and a left knee meniscal tear. Ty underwent conservative treatment for his injuries, but still had to undergo left knee surgery when conservative treatment did not work. Ty was totally incapacitated from working for approximately 4 monthsdue to the accident. At that time, Ty was a 26-year-old personal trainer. The physical, financial, and emotional stress this accident caused Ty was devastating. Ty knew Adam Handler for years through his relatives and as his family lawyer, he contacted The Case Handler for legal guidance. 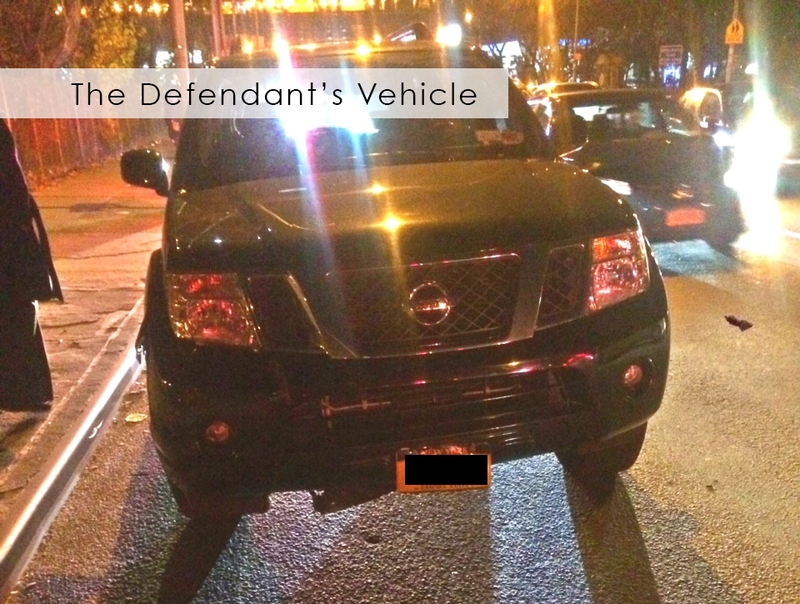 Not surprisingly, the Defendant claimed that the cars never made contact since it was difficult to detect damage on the Defendant’s vehicle. After thorough investigation, we successfully identified the imprint of the Defendant’s license plate on Ty’s car and won a $60,000.00 settlement award for Ty! Have you ever witnessed a child hitting another child and immediately saying they didn’t do it? Well that’s exactly what happened here folks. Insurance companies do not want to give you money and will use every excuse in the book to get their way. Unfortunately for them, The Case Handler team will not go down without a fight! If you were or are ever injured, make sure to get medical attention as soon as possible and call a Bronx auto accident lawyer that will help the legal process go “seamlessly” for you.